Think of an occasion or an event - at Willsoor you'll find a perfect shirt for that particular business meeting or family reunion alike! 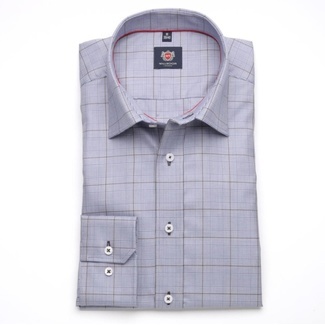 Someone might be looking for the perfect slim fit shirt to impress his colleagues at the meeting, other one is on a hunt for that perfect, extra-long shirt that would look great with his favorite pair of jeans. Weddings and business meetings, events formal and informal, team-building with colleagues and fort-building with children – at Willsoor you’ll find perfectly crafted, high-quality shirts with original designs for your time at work and your time off. 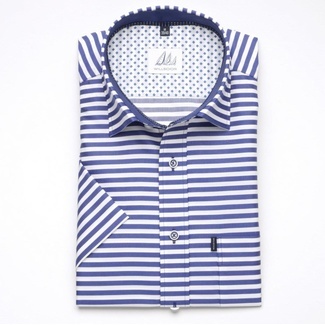 Willsoor shirts are made of variety of top notch quality materials, we highly recommend to have a look at our selection of 100% cotton shirts, or those shirts made of the combination of cotton and poplin. Both of which ensure maximum comfort and shirts durability. 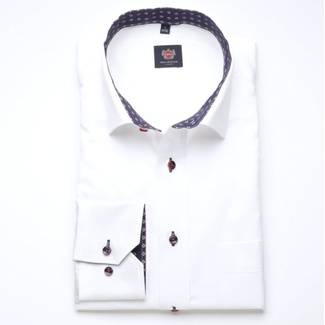 It doesn't matter whether you seek to purchase a formal shirt to fit your suit or an informal one with out of the box, original design for your leisure time. In any case, we guarantee 100% satisfaction.